This Sunday, and every 1st Sunday of the Month, Bethany English and Bethany Lao fellowships worship together. The songs are the same (singing in the language you choose) and the Sermon is Translated. 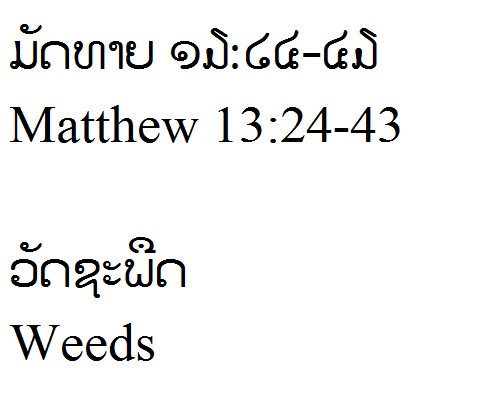 This entry was posted in Bethany, English, Lao, Sermon Series and tagged combined service, English, Lao Fellowship, Matthew's Gospel. Bookmark the permalink.